I admire the Chinese people for their knowledge about traditional medicine. They have a long list of herbs used in treating various diseases and in promoting good health; they have been using those herbs for thousands of years. They have contributed a lot in the development of pharmacology as a science. Today, many people around the world are enjoying the health benefits and medicinal uses of various herbs found in Traditional Chinese medicine. Western scientists are beginning to understand the scientific bases of all claimed health benefits of Chinese herbs. They look at chemical components of the herbs that demonstrate therapeutic effects for cancer, diabetes, heart disease, liver disease, sexual dysfunction, neurological disorders, gastrointestinal diseases, infection, and other human diseases. One of the most studied herbs is the lingzhi mushroom, also known as reishi (Japanese), yeongji (Korean), and Ganoderma lucidum (scientific name). Reishi was called as the “mushroom of immortality” because of the Chinese belief that it promotes longevity. It is one of the oldest medicinal mushrooms, being used for more than four thousand years. Its close relative is Ganoderma tsugae, which is also edible and used medicinally. Reishi grows in China, Japan, and North America. It is usually found in the base of trees and in decaying woods. The mushroom has distinctive morphology and characteristics: flat, kidney-shaped, soft (if fresh), and red-varnished. Reishi is bitter and no significant side effects. It is usually used as tea and food supplement, available in capsules. Due to increasing international demand for reishi, it is now cultivated to increase supply. Scientists isolated approximately 400 different bioactive compounds in reishi including triterpenoids, nucleotides, polysaccharides, steroids, sterols, phenols, fatty acids, proteins, amino acids, and trace elements. The triterpenoid ganoderic acids are among the most studied component of reishi. Different types of ganoderic acid have been found to exhibit therapeutic properties. Probably the most important use of reishi is for cancer treatment. 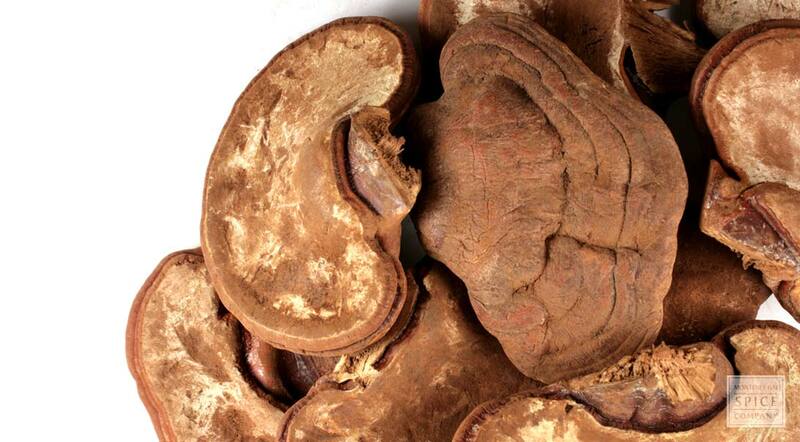 In China, Korea, and Japan, reishi is actually used to treat cancer. It is prescribed as cancer supplement in the three countries. There is an undergoing debate on whether to classify reishi as a food supplement for health maintenance or actually a therapeutic drug for medical purposes. In laboratory studies, reishi extract has been found to inhibit cancer growth and metastasis. Scientific studies have also been done to investigate the other claimed health benefits of reishi. So far, the studies produced promising results.